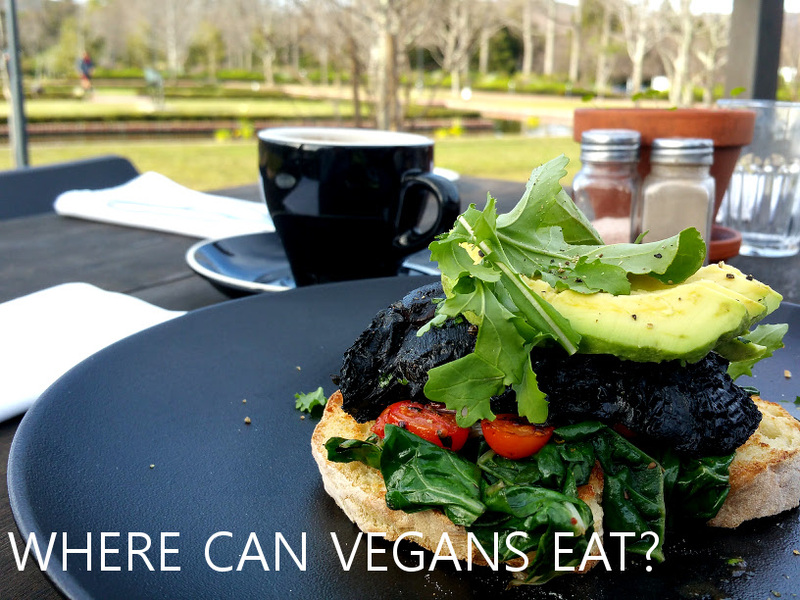 This is a continuously growing list of vegan restaurants in Somerset West, Gordon’s Bay and Strand where you can conveniently eat on a vegan diet. This means that they have specific items on the menu, things that are easily veganised, or the chef would be up for making you something special. Please note that all restaurant options have been verified through the menu or specific personal contact with the restaurant. Menus are subject to change, so always double check with your waiter whether the item you order is vegan. If you are a restaurant and you would like to be featured on this list, please contact me. With a dedicated vegan icon, you can easily find the many vegan options on their menu. For a light meal they have the Abruzzo which is a thin Italian flatbread served as a wrap with lots of fresh vegetables and peppadew. For large salads, they have four dedicated vegan salads, and many more you can veganise. This includes vegan Parmesan guys… Two pasta options, pomodoro and spagetti and vegballs. Pizza options are endless, because you can create your own starting with a vegan margarita. If you are too lazy for that, choose one of their already vegan pizza options, including the Lazio, Zucca and Cosi Verde. As if these options weren’t enough, they even have a vegan dessert Amistoso made from cashew cream, caramel pineapple, orange flavoured crumble, coconut shavings. You’re welcome. For antipasti, Giovianni’s can offer you the beetroot carpaccio without gorgonzola and feta. The pizza bases and tomato sauce used on their pizza is vegan, therefore you are able to build a pizza to your liking without the cheese. Gluten free pizza bases are also available. Although the actual pasta is not vegan, the napoletana and arabiata sauces are, therefore they are able to offer you the Con Funghi risotto in a Napoli based sauce instead of the cream that is listed on the menu. Furthermore, the minestrone soup, greek salad without feta and all pizza bread without cheese is vegan. For Breakfast The Millhouse Kitchen offers vegan pancakes with berry and maple syrup (soon), fruit salad and you can ask for spinach, mushroom, tomato, avocado and rocket on toast. For lunch and dinner options they have tomato soup, gnocchi with butternut and spinach, tomato or mushroom risotto as well as a warm butternut, beetroot, quinoa and pumpkin seed salad. Please note that their pizza without cheese is not vegan. The Idiom Restaurant is able to offer you their mushroom salad without goats cheese and butter dressing on request. It consists of a combination of raw, pickled and glazed exotic mushrooms with toasted grains on a bed of young leaves. Moreover their pizzas without cheese are vegan friendly. Simply pick off the remaining meats and cheeses. For example the Puglia, containing burrata (remove), red onion, sweet red peppers with rocket and balsamic pearls, and the Campania with sun-dried tomatoes, salami (remove), chili and black olives. Pajamas and Jam are more than able and willing to accommodate vegans in their popular eatery. They advise you to have a look at the menu and veganise certain items for yourself by removing for example the poached egg in the Healing Watercress, ask for the Beetroot glow wrap without goats cheese and to serve in a cabbage wrap, removing the chicken from the Watercress Chicken salad and add avocado, or the Blushing Beetroot salad without cheese. Most importantly, they are able to make you a tofu scramble. This restaurant moved from Somerset West to Strand recently, and have added three completely vegan items to their menu! They are making it really easy for us vegans to have a place to go to for breakfast, lunch and dinner. They have a 3 Speedster burger and the Brakeline taco for you to enjoy, as well as the V-twin breakfast which includes potato rosti with baby spinach, seared tomato and grilled mushrooms with a drizzle of basil oil. All vegan and vegetarian health food restaurant and food shop in one. They have a gluten free and vegan lunch buffet, drinks, smoothies, and homemade products to choose from. They are however only open on week days from 9:00-16:00. Pomodoro is a traditional italian family-owned take-away and sit-down restaurant. They offer a few vegan-marked items on their menu which include pasta Arrabiata, gnocchi Arrabiata and Napoletana as well as a focaccia bread. Furthermore, their pizza can also be veganised by asking for no cheese on one of their vegetarian pizza options. Gluten free pizza bases also available. The Real Food Co is an organic grocer (and online shop) with a cafe restaurant inside. They serve a wide variety of things like raw organic juices, smoothies and shots alongside coffee and tea. Lunch is served all day and include raw vegan sushi, a base salad which can be topped with various ingredients including flax crackers and hummus, gluten free salad wrap, black bean burger, kale chips and to top it all off, they usually have a raw vegan cake of the day. Senor Onion is a Mexican deli that proudly also caters for vegetarians and vegans. They offer gluten free options as well. The menu includes burritos, quesadillas, nachos, salads, tacos and salad wraps. Please ask to have these veganised. Chelsea Cafe is a little coffee shop in the Chelsea Village which offers a few vegan options on their menu. These include a lentil, basil pesto and avocado open sandwich that is served all day, and a lentil and roast vegetable salad wrap (without feta). 91 Andries Pretorius Street, Somerset West. Mugg n Bean have a few specially marked vegan items on their menus. They have Avo and rainbow slaw toast for breakfast. For lunch they have a coconut, carrot and ginger soup served with toasted ciabatta. Furthermore they have many salads that can be veganised the usual way. (Patiently waiting for the plant-based milks to arrive as an option with coffee and tea). First and foremost, Kauai uses Almond Breeze almond milk in their coffees. Enjoy all your favourite warm drinks with almond milk instead of cow’s secretions. On the breakfast menu they have smashed avocado on toast and a dragon fruit smoothie bowl. Smoothies include vitamin see, nature’s proteinand tropical greens. Note that the coconut-infused water contains honey so watch out for smoothies that may seem vegan-friendly. Furthermore they have an array of fresh raw juices (floo juice, heart beet, CBC, your daily greens) and a ginger shot to enjoy. Now for the actual food! Make the wraps, warm bowls and salads vegan friendly by removing chicken (and save R24!) and feta. Try the Harvest, Thai Crunch and Mexi wraps, the Thai Crunch salad and the Mexi, Asian Rainbow Bowls and Winter Nourish Bowl. These items do not contain any non-vegan items in for example the dressings. If you don’t believe me, you can check out their special vegan options right here. At Roco Mamas you can create your own burger using their veggie patty which is vegan and top is with whatever vegan topping you would like. Just make sure to tell them you are vegan. The usual vegetable, avo or cucumber fashion sandwiches, maki and california rolls. Be sure to ask for no mayo or cream cheese that could sneak in. All these vegan restaurants in Somerset West, Gordon’s Bay and Strand are thanked for their friendly accommodation.